You may have already attended a Yom HaShoah service this week, to honor the memory of the 6 million Jews consumed in the Holocaust. At the same time we should also remember and give praise to those righteous non-Jews who, at the risk of their lives, hid and protected Jews in their midst who would have otherwise been lost to the Nazis. Some of you may be surprised to learn that besides Christians, there were many Muslims who also were among the “righteous,” hiding and protecting hundreds, perhaps thousands, of Jews from the Nazis. Albania, the largest Muslim-populated country in Europe, was also the only nation occupied by the Germans and Italians that refused to provide the names of its Jews. A tradition long held by Albanians is Besa, a belief in care and concern. In World War II, it meant taking care of its Jews. Its Christian and Muslim citizens absorbed 2,000 Jews into their homes and workplaces, giving them Albanian names and making them part of their families. Amazingly, not one Jew was lost to the Nazis in Albania. Another Muslim country whose citizens helped save Jews from the clutches of the Nazis was Iran. An Iranian diplomat, Abdol-Hossein Sardari, chief consul in Paris, France when the Nazis marched in, convinced the occupiers that Iranians were Aryans, including its Jewish citizens, who were “unlike European Jews” and therefore should not be included in the roundup. Iran had declared its neutrality and Hitler sought trade favors with the shah, so the Iranian consul was able to save not only Iranian Jews, but many European Jews to whom he illegally issued Iranian passports. The stories of Oskar Schindler and Raoul Wallenberg saving so many Jewish lives have been well publicized, yet the heroism of Consul Sardari, an Iranian Muslim who probably saved even more Jews than Schindler, needs to be honored as well. While many individual Muslims are honored by Yad Vashem’s Righteous Among the Nations, too few American Jews realize this fact. Now, at a time when American Muslims are under scrutiny and suspicion by the ignorant who are suspicious of all Muslims, we as Jews should stand with them as they stood with us not that many years ago. I recently learned that the period after Pesach is called the “counting of the Omer,” counting the days from Passover until the holiday of Shavuot. There are multiple understandings of this mitzvah. When one anticipates an event that she is truly excited about and looking forward to, she counts the days until that time arrives. For the Jewish people, the most exciting and meaningful time in our history was receiving the Torah at Mount Sinai. That was where we achieved our greatest connection and intimacy with the Almighty. At that moment, we became an eternal nation and received our marching orders for all time; we were taught how to be a light among the nations and elevate ourselves to unique spiritual greatness. This was the ultimate purpose of the freedom we were granted on Pesach. Although this transpired more than 3,300 years ago, our tradition teaches that our holidays are not mere celebrations of historical occurrences. We have often explained in this column that our holidays recur yearly. The same spiritual light revealed by the Almighty at that time of our history returns when we arrive at the same time of the year. The Torah is regiven yearly on Shavuot to all those who are prepared to receive it. Hence, year after year, we count the days from our freedom (Pesach) until the purpose of that freedom (Shavuot). This exhibits our anticipation and excitement to again experience those spiritual heights on Shavuot. It also connects Pesach and redemption to its ultimate purpose. The Kabbalistic sources provide yet another vehicle for growth through the sefiras ha’omer, based upon the concept of sefirot, or seven levels of existence. During these 49 days of sefirat ha’omer, it is a time to perfect ourselves in relation to the seven lower sefirot, those sefirot which reflect God’s interaction with the physical world. These seven sefirot interact with each other, like DNA, where every cell of the body has within it the DNA of every other part of the body. Each sefirah contains all the aspects of each other sefirah within itself, hence the seven multiples of seven, or 49 days of counting. In order to tap into this spiritual energy, we actually count, saying “tonight is the third night of the Omer,” etc. To do so connects us to the day, marking it as a time of growth and introspection, taking us forward and upward toward Shavuot! Members of the North Texas Jewish community will have their hearts and minds with Israel this week as Yom HaZikaron and Yom HaAtzmaut are celebrated in the greater Dallas and Fort Worth area. Observance of Yom HaZikaron starts on the evening of April 30 and lasts until the evening of May 1. The Israeli Memorial Day was established in memory of those soldiers that lost their lives in the struggle for Israel’s establishment, while it also honors those who have lost their lives while serving in the Israeli Defense Force. Because of its proximity to Yom HaAtzmaut, sometimes the holidays are celebrated as one in the United States. However, the Jewish communities in Dallas and Fort Worth have set up individual events for Yom HaZikaron. Congregation Ahavath Sholom in Fort Worth (at 4050 South Hulen St.) will hold a service at 11:45 a.m. Sunday. According to a press release, children from all over Tarrant County will help lead a service that will commemorate and honor the fallen soldiers of Israel and victims of terror. This program is sponsored by the Jewish Federation of Fort Worth & Tarrant County with financial support from the Dan Danciger/Fort Worth Hebrew Day School Supporting Foundation. Cafe Israel and The Jewish Federation of Greater Dallas are hosting an event at 7 p.m. Sunday, April 30, at Congregation Anshai Torah (5501 West Parker Road, Plano). The evening will be dedicated to sharing stories of the fallen and will honor those who gave their lives defending Israel through various readings. This year’s ceremony is focused on the 50th anniversary of the Six-Day War. The program will be held in both Hebrew and English. Yom HaAtzmaut is Israel’s Independence Day and commemorates the May 14, 1948, establishment of the Jewish state. Yom HaAtzmaut officially falls on May 1 and 2 this year, but will be celebrated on May 7 by local organizations in Dallas and Fort Worth. Guests can enjoy a free Israeli lunch and an entertaining show featuring musical guest, Noam Agami. There will also be opportunities to take pictures at the Kotel and other important Israeli locations. An art exhibit will feature Israel- and Jerusalem-themed art from local artists and community religious schools. In Dallas there will be an event from noon to 4 p.m. at the Aaron Family Jewish Community Center. It’s a communitywide event funded by the Jewish Federation of Greater Dallas. There will be family-friendly activities, another concert by Noam Agami (at 3:15 p.m.), and activities led by Israelis from Zman HaGalil. Zman HaGalil is a small business consortium (similar to a chamber of commerce) for more than 35 entrepreneurs across Western Galilee, Dallas’ Partnership Region. The May 7 activities will include leather stamping, a chocolate-making workshop and wine tasting. Israel-Texas relations got a bit stronger last week. After several months of hard work by community members and organizations across the state, Texas legislators have reached the final steps in the lawmaking process that would make it illegal for the use of state public funds for companies that are involved with Boycott, Divestment and Sanctions (BDS). Boycott, Divestment and Sanctions is a global campaign attempting to increase political and economic pressure on Israel through boycotts, divestment of investments and international sanctions. One of BDS’ target goals is delegitimizing the State of Israel. Texas would be the 20th state to create such a law against BDS and Governor Greg Abbott is expected to sign the legislation within the coming weeks. House Bill 89 passed by a 131-0 margin last Thursday. This came roughly a month after the companion bill, Senate Bill 29, was passed by a 25-4 margin. In the house there were 12 members who were present but didn’t vote (including the speaker, who typically votes only in case of a tie on an issue), while seven representatives were absent on the day of the vote. The bill now goes back to the state Senate for reconciliation and then heads to Abbott for final approval. Back in early November it was announced that State Representative Phil King (R-Weatherford), would sponsor the House bill, while State Senator Brandon Creighton (R-Conroe) would sponsor and introduce it in the Senate. He was right, and it rallied members of the Jewish community together during the process. In mid-November the Jewish Federation of Greater Dallas hosted a meeting with representatives and leaders from more than a dozen local Jewish organizations. They discussed and laid out plans to promote and support the bill, and it created a united front all working toward one goal. Over the following months hundreds of phone calls, emails, and even faxes were sent to legislators in support of the bill and twice in February a large contingency of people, representing several groups, made the trip to Austin to support and rally for the bill. The final steps for the bill to become a law lie within the legislature, but the community leaders and those who have worked to promote the bill are encouraging people to thank their representatives for their support of Israel and representing the views of their constituents. There is also hope that Texas could set an example for other states. Throughout the process several people referred to Texas as an “example state” and one that could help push similar legislation in other states. 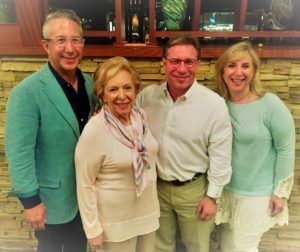 It will be a family affair at the 2017 Ann Loeb Sikora Humanitarian Award event May 3 when the Dallas Jewish Historical Society honors Dr. Jeff Genecov, Julie Genecov Shrell and Dr. David Genecov. Themed “Preserving our Past, Celebrating the Present and Ensuring our Future,” the reception and program, at the Communities Foundation of Texas Mabel Peters Caruth Center, will begin with drinks and light hors d’oeuvres at 5:30 p.m.
As adults, the doctors David and Jeff Genecov, with their mother Sally in the middle, and Julie Genecov Shrell, have made their parents, and Dallas’ Jewish community, proud. The award, established for the late Ann Loeb Sikora, honors individuals who emulate the humanitarian ideals by which she lived. 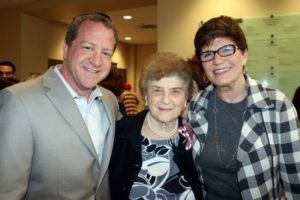 A professional volunteer who received numerous awards for her outstanding community service, Sikora was the first woman president of the Jewish Federation of Greater Dallas, a founding member of the Dallas Jewish Coalition for the Homeless (now Vogel Alcove) and MAZON, a Jewish Response to Hunger. She served on the boards of the American Jewish Committee, the Community Council of Greater Dallas, the Council of Jewish Federations, Congregation Shearith Israel, the Home for the Jewish Aged — Golden Acres, the National Council of Jewish Women, and the United Way of Metropolitan Dallas. Five generations of Genecovs have been raised in the North Texas area. The family of Ed and Sally Genecov is shown: (back row, left to right) Adam Genecov, Rob Shrell, Lisa Atlas Genecov, Dr. Jeff, Dr. David, Dr. Lisa, Michael, and Max Genecov; (middle row) Julie Genecov Shrell, Sally, Ed, Grandmother Bunny Freiden (Sally’s mother), Megan, and Matthew Genecov; (bottom row) Becca Genecov, Simone, Marissa and Gavin Shrell. 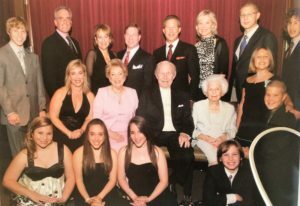 The honorees are the fourth-generation Texan descendants of Dr. Ed, of blessed memory, and Sally Genecov, who each served Dallas’ Jewish community, setting the example their children now live. He was the “orthodontist to the community” and she was one of the moms that neighborhood children could count on, always involved in their school and other activities and always there. Sally remains one to hug and hold by many of her children’s now adult friends — so many she’s known for much of their lives. 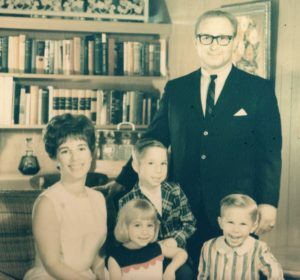 The Genecov family, which settled in Dallas in 1960, has made its mark. (Left to right) Sally, Julie, Jeff, Ed and David Genecov. Dr. Jeff Genecov, husband of Lisa Atlas Genecov and father of Adam and Becca, was a member of BBYO’s Levi Eshkol chapter. A graduate of St. Mark’s School, UT-Austin — where he was a member of the Texas Cowboys — and Baylor College of Dentistry with a Master’s in Orthodontics, he followed in his father’s footsteps, and his practice. 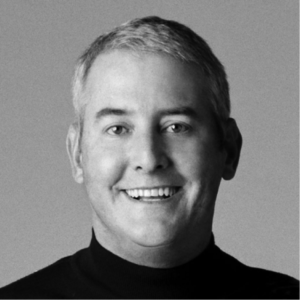 Jeff’s clinical expertise includes working with patients with facial deformities and cleft lip and palate. Julie Genecov Shrell, the wife of Rob and mother to Gavin, Marissa and Simone, is a former Sally Blum Chapter BBYO member and graduate of W.T. White High School, UT-Austin and the Texas Realtor Leadership Program. With more than 30 years’ experience as a loan officer, Julie was named the best mortgage professional by both D Magazine and Texas Monthly. A co-founder of the Be The Difference Foundation and co-chair of Dallas’ Wheel to Survive cycling events — which has donated $2 million for ovarian cancer research and support — Julie, a six-year survivor, was honored with the MetroTex Association of Realtors Ebby Halliday Community Service award. “Involvement in our schools, community, and professional worlds was something we saw from our parents and something they always taught us to do — mitzvah hours were ‘what we did,’ and we each married people with the same ideals. Dad’s love for his industry — of which he was a pioneer — went beyond to organizations, in volunteering, and in teaching, and we’ve followed that example,” said Julie, whose family belongs to Congregation Anshai Torah. Dr. David Genecov, the husband of Dr. Lisa Genecov, and father of Matthew, Max, Megan and Michael, is a specialist in craniofacial and pediatric plastic surgery. David is a graduate of St. Mark’s School of Texas, UT-Austin and the UT-Health Science Center, San Antonio. He completed residencies at West Virginia University and Wake Forest University. Trained at the International Craniofacial Institute, he is now its owner and director. David teaches at Baylor College of Dentistry, volunteers as a physician instructor and assists in fundraising for Smile Train. All three honorees credit their spouses and children with supporting them, saying they wouldn’t be able to share in any of what they do alone. Their parents, who were married for 51 years before Dr. Genecov passed away in 2009, met on a blind date in Los Angeles. Sally was a native and he was serving in the Navy. After a time in New York, where Dr. Genecov finished his training, in 1960 the couple settled in Dallas, not far from the Fort Worth stomping grounds where the family’s patriarch was raised. Dr. Genecov was a president at Congregation Shearith Israel, the couple coached and cheered at the JCC, and there were the San Gabriel Drive block parties and memories made for all on the “Sally G,” at Lake Texoma. “Jeff, Julie, and David are three individually amazing people, worthy of this respect in their own right, who happen to be siblings. They each have made important and meaningful efforts but it’s exquisite to know the support they each have for one another and all they care about,” said Laurie Judson, co-chairing the event with her own sister Susan Zetley and their mother Janet Hershman. For more information, or to RSVP, call 214-239-7120 or email info@djwhs.org. Recognized by D Magazine and Texas Monthly, he’s held leadership positions with the American Association of Orthodontics Foundation, the Dallas Chapter of Alpha Omega Jewish Dental Fraternity, the North Texas Chapter of Smile for a Lifetime Foundation and the Texas Association of Orthodontics. Jeff has served on the boards or committees of the American Jewish Committee; CHAI: Community Homes for Adults, Inc.; Congregation Shearith Israel; Dallas BBYO Youth Commission; Friends of the Northaven Trail; and the Jewish Federation of Greater Dallas like his siblings and parents before them, raising funds for several dental and medical causes. He and his wife were among the co-chairs of The Big One Federation trip to Israel. Jeff is the president of the Southwestern Society of Orthodontists and an assistant clinical professor at Texas A&M College of Dentistry. Julie has been involved with LearningFest, Junior League, and local networking organizations, and she’s a volunteer with the Ovarian Cancer National Research Alliance’s “Survivors Teaching Students” and the UT Southwestern Harold C. Simmons Comprehensive Cancer Center, speaking with newly diagnosed patients. A member of the Women’s Council of Realtors and the Realtors in Action Committee, she serves on the Center for Jewish Education’s advisory committee. Recognized by Bnai Zion Foundation, D Magazine, Dallas Hadassah, Texas Monthly, and the DFW Alliance for his service for health care excellence, he has served on the boards of Congregation Shearith Israel and the Jewish Federation of Greater Dallas, and is currently a St. Mark’s School trustee. 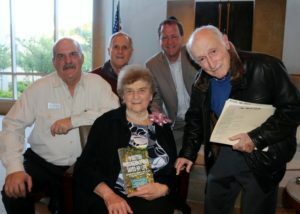 Holocaust survivor and author Ben Lesser participated Sunday, April 23, in Tarrant County’s Yom HaShoah observance to share his story of survival and ensure the world never forgets the lessons of the Holocaust. The program was held at Beth Israel in Colleyville. Ben also spoke to junior high school students on Monday, April 24, in Princeton, Texas, to share his family’s story and encourage the students to join his grassroots anti-hate, anti-bullying campaign, I-Shout-Out. Born in Krakow Poland in 1928 to a family of seven, Ben and his older sister, Lola, were the only family survivors of Hitler’s Nazi regime. During five years of living hell on earth, Ben was fortunate to survive several ghettos; four concentration camps, including the notorious Auschwitz, Buchenwald and Dachau; two death marches; and two death trains. He is the only living survivor of the notorious Dachau death train that brought him to the concentration camp three days before American liberation. Lesser has made it his life’s mission to share his story, launching The Zachor Holocaust Remembrance Foundation, to ensure the world never forgets the lessons of the Holocaust. He founded I-Shout-Out, an interactive, grassroots, anti-hate campaign to put an end to intolerance by promoting supporters to speak up and out for those who cannot. The goal of the campaign is to garner 6 million shout-outs, one for each of the 6 million voices that were silenced by the Holocaust. By shouting out, participants in the campaign will sign the I-Shout-Out virtual wall, leaving a lasting legacy for generations to come to confront intolerance. “The Holocaust and other tragedies all stem from the same base of intolerance. If people had exhibited tolerance and confronted Hitler’s hate, my family, along with the 6 million others, could have been saved, instead of destroyed,” Lesser said. I-Shout-Out is powered by Zachor Holocaust Remembrance Foundation. The Zachor Holocaust Remembrance is recognized by the IRS as a 501(c)(3) charity. Its websites are www.i-shout-out.org and www.ZachorFoundation.org; Twitter: @I_Shout_Out; Facebook: IShoutOutCampaign. At the event at Princeton High School, Ben urged every student to join him in his I-Shout-Out effort by signing onto the online campaign and speaking up for what they believe in. Shouting out sends a unified message that individuals are not alone and upholds the fundamental values of respect that human beings deserve. Recent studies indicate nearly one out of every five school children between the ages of 12 and 18 experiences bullying, an aggressive, harassing behavior of another individual. As he speaks to school groups and community organizations across the country, Ben challenges students and adults to join the I-Shout-Out campaign to raise awareness of the bullying epidemic that affects these hundreds of thousands of children each day. Lesser’s story of courage, determination and achievement is detailed in his memoir Living A Life That Matters: from Nazi Nightmare to American Dream and is used in classrooms across the country to educate school children on the lessons of the Holocaust. To learn more about Lesser’s story of survival, visit zachorfoundation.org. To learn more and participate in the I-Shout-Out challenge, visit i-shout-out.org. Many observances of Yom HaShoah took place Sunday, April 23 around the Metroplex. 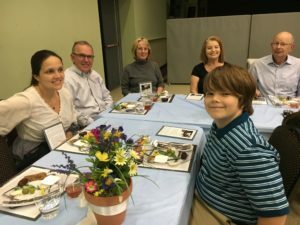 New this year were two Yom HaShoah seders (see tjpnews.com for the April 20 story) at Congregation Kol Ami in Flower Mound and Adat Chaverim in Plano. The Fort Worth and Tarrant County Jewish community welcomed Holocaust survivor and activist Ben Lesser to their annual observance, while the Dallas Jewish community observance at Temple Emanu-El featured a special presentation by Israeli Scouts and the Temple Emanu-El Choir. Children of local Holocaust sturvivors gave testimonies of their parents’ resistance to the Nazi regime in the midst of unspeakable evil. 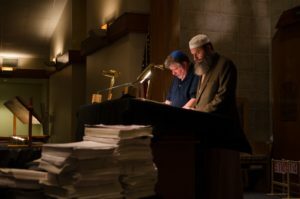 Congregation Beth Torah held its annual Reading of the Names 24-hour vigil. Here’s a post-Passover tale as bitter as maror, yet sweet as kosher-for-Pesach sacramental wine. I happily give credit to the Pittsburgh Post-Gazette and its reporter Peter Smith for making me aware. Of course I have personal connections with the subject, Temple Hadar Israel of New Castle, Pennsylvania — not close enough to be a suburb of the big city, but with a Jewish population not large enough to support a congregation of its own any longer. This “Glory of Israel” will soon shut its doors forever. But this Passover, it opened them extra-wide. THI was already a hybrid, created years ago by the merger of two other very small congregations. Southwestern Pennsylvania had a slew of those back in the ’30s and ’40s, reaching even into the ’50s, when I was first confirmed and then a teacher in one of them. My family’s home was closest to a small shul whose Jewish educational needs were among those coordinated and supervised by an organization created just to serve this regional amalgam. The classes in each were tiny, as were our synagogues themselves, both in membership and physical size. In B’nai Emunoh, my earliest spiritual home, all our classes met in unwalled but separate areas of the sanctuary, which was the first-floor conversion of a two-story residence. The family owners lived upstairs, and tradition moved us upward for our final school year into its own “sacred” reaches. Looking back, I realize how much of my Judaism I learned right there, in Mrs. Simon’s kitchen. However, time took its inevitable toll. My little home shul has stayed alive and well thanks to Chabad, which partnered with it to move many new, young Jewish families into the old community. But aging stalwarts and the non-return of college graduates to their roots have brought about the demise of most. Hadar Israel, however, is celebrating life throughout the time of its passing, going out in the blaze of the Glory that is its name. A few days before the start of the Pesach just past, the shul’s Christian neighbors were observing Jesus’ Last Supper — which of course was itself a Passover Seder. And so the synagogue invited them to its own Last Seder, with attendance reaching about 90! One of the guests was a Catholic who had grown up with Jewish neighbors; he was sad to see the small number of congregational children there, he said, but happy that they were part of the ritual and “learning to carry on the tradition as they get older.” Just another juxtaposition of the bitter and the sweet. So — what happens now? THI has made its peace with the present. 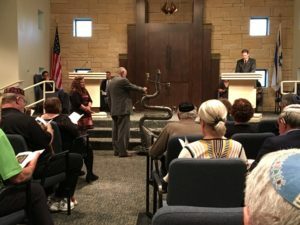 The property has been sold, funds directed toward perpetual cemetery maintenance, Torahs moving to new homes — one returning to its origins, for a new synagogue in Poland. Other artifacts will go to the Jewish archives section of Pittsburgh’s Heinz History Center. And the members will travel to congregations east of them in Pittsburgh, or west into Ohio: “There aren’t many choices in between,” one member said. Actually, there are none, as all other nearby shuls have already closed. This week I told the story of King David and the spider and the one about King Solomon and the bee. Both stories are about how an insect saved a king. The Tanach is filled with stories and commandments of how we are supposed to treat the land and all that live on that land. From the very first chapters in Genesis, we are told to “rule” and “master” and “to till and tend.” In some ways today, we have taken the “rule and master” as license to do whatever we wish and our land is paying the price. How can we get back to the real idea that God has given us a gift and we must take care of that gift? The stories of King David and King Solomon remind us that everything has a place and a purpose even if we don’t see it at first. So before you step on that spider, think of King Solomon and maybe just send it out into the world. 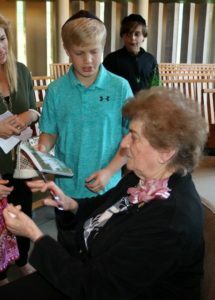 Local Holocaust survivor, Sara Rigler, was the featured guest and speaker at the Temple Shalom Brotherhood’s Yom HaShoah commemorative event Saturday evening, April 22, in the synagogue’s Epstein Chapel. A reception took place before the event. 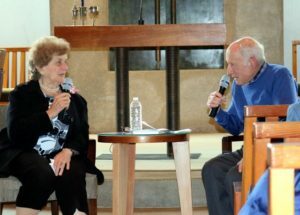 Her harrowing and miraculous story of survival, which is detailed in her book, 10 British Prisoners of War Saved My Life, was recounted for the crowd who listened intently to her story being told as she was interviewed by former Temple Shalom Brotherhood President and Hall of Famer Bob Weinfeld. Mrs. Rigler, up until her early teens, along with her family, had lived a life of privilege, which was suddenly ended when the Russians and later the Germans had invaded her hometown of Shavli, Lithuania. Her father was imprisoned by the Russians and later killed by the Germans along with all the men in Shavli. Her mother and sister were forced into a horrible and crowded existence in the Shavli Jewish ghetto and later the Stutthoff concentration camp. As the Allied troops were advancing in the latter stages of World War II upon the concentration camp, her sister and mother were led on a forced death march deep into Nazi Germany, where she was implored by her mother and sister to try to escape as they were near death from the starvation and unhealthful conditions. She was the healthiest and they wanted her to survive. She somehow managed to slip away from the marching line and escaped to a farmhouse where she was later found by Willie Fisher, a British POW from the Battle of Dunkirk. He and nine other British POWs nursed and fed her back to reasonable health and wanted to care for her further, as they too were being marched deeper into Germany three weeks later away from the advancing Allied troops. Sara did not want to endanger her new friends’ lives. She decided to stay behind and managed to find work with a local German family till the Soviet army liberated the area. From there she moved on from job to job and had other harrowing experiences until 1947, whereupon she was offered a marriage of convenience to a rabbinic student, transportation to America and a divorce once she arrived. It was important to Sara to resume her education as she settled in Brooklyn, New York, lived with a war widow, and had a job caring for her son. She then finished high school and graduated from Brooklyn Jewish Hospital in 1949 as a registered nurse. She married her husband, Bill Rigler, a struggling attorney at that time who was “as poor as a church mouse,” she joked, following her graduation. He went on to become a New York Supreme Court judge. Her family, who were in attendance last Saturday, grew to include two children and grandchildren. Sara also became very active in politics as a state committeewoman in New York and enjoyed knowing political people of influence who could make things better for others, she explained. Throughout her adult life in America, she began a search to find her 10 British POW rescuers which took 20 years. In 1972, they were all finally reunited. Her book details a diary and letters from two of the gentlemen. Her POW friends are now all deceased. Yet Sara has survived and thrived in her life, a wonderful irony and testimony to her plight and to others who’ve pushed past and built new lives and legacies from a horrific time in their pasts. This year’s Temple Shalom Brotherhood Yom HaShoah event was chaired and directed by Sander Gothard. On Free Cone Day (April 4), Robyn and Hunter Rose scooped 16,107 free ice cream scoops to honor customers and raise awareness for breast cancer at their Ben & Jerry’s locations in Highland Village and Plano. More than 1 million scoops of ice cream were dipped worldwide. “We love getting involved with and giving back to our communities. 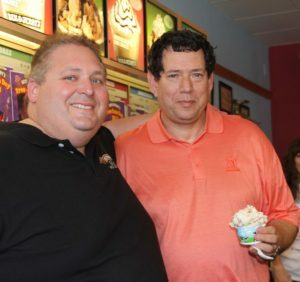 It’s amazing what we can do together over shared values and several scoops of ice cream,” said Hunter Rose, ice cream czar at Ben & Jerry’s of Plano and Highland Village. Ben & Jerry’s has been a longtime advocate of social causes like marriage equality, environmental sustainability and ensuring that their ice cream is made in the best way possible, which includes sourcing fair-trade and non-GMO ingredients. Ben & Jerry’s of Plano and Highland Village partnered with the Susan G. Komen North Texas foundation to spread the word about dealing with breast cancer within the community. Rose explained that “the money raised by this group stays in our community to educate and battle against breast cancer in our North Texas community. They are a wonderful group filled with concerned individuals, survivors and family members of survivors. There is no pressure to donate, but since you aren’t paying for your ice cream on this day, if you can find it in your heart and pocketbook to drop a dollar or two in their buckets… it will be put to good use.” The Susan G. Komen North Texas foundation helped Ben & Jerry’s scoop and keep things clean and organized. 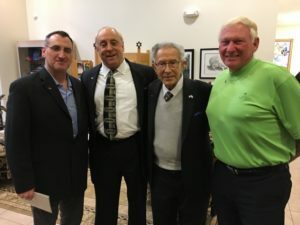 Among those in the Jewish community who participated in the event were Chuck Cooperstein, the voice of the Dallas Mavericks, and Barry Horn, sports columnist for the Dallas Morning News.